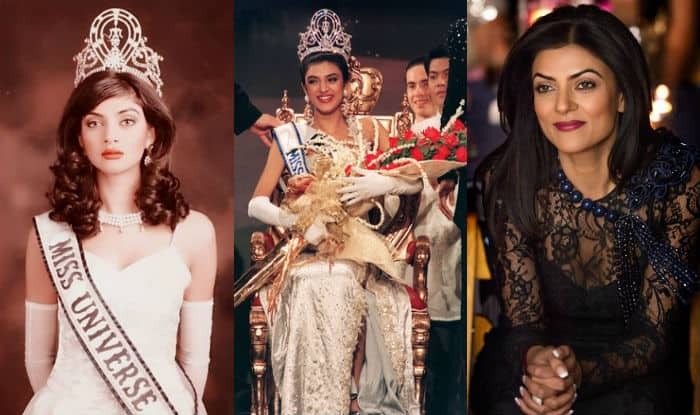 From the Miss Universe pageant to the role of single mother of two girls, Sushmita Sen has played all the roles of life with her bold and graceful style. We often set our role models in our life after watching someone performing well over digital media, without knowing what they are in real life. The real-life role models are very few and out of them is the bold and gorgeous Sushmita Sen who nailed her character not just in movies but in her real life too. If you go through a few events of her life, you’ll get to know why she’s a role model for the young girls of today’s India. Sushmita is celebrating her birthday today in Dubai with her loved ones and two little munchkins. She was a teenager in 1994 and won the title of Femina Miss India. Later she became the first woman to be crowned as winner of the Miss Universe pageant of 1994 at a young age of 19 years. She became the 43rd Miss Universe pageant that was held in Manila, Philippines. At the age of 24-years, she adopted a girl child and became a single mother going against Indian society norms. A decade later, she adopted another girl child. She played fantastic and some non-forgettable roles in her acting career. She contributed herself for “I Am Foundation” and “I Am She Miss Universe Pageant” placing new terms for the young girls. Regardless of social norms and traditions, she adopted a girl child named as Renee, after fighting the battle with the surrounding people at the young age of 24. Miss. Sen did not stop there, she adopted another girl child after a decade placing new terms and way of living in the society. She named her second girl child Alishah. Sushmita often posts adorable pictures of Renee and Alishah on Instagram. Sushmita is also very active these days in sharing serious workout regimes on Instagram and has become a motivation for a lot of women out there. Every girl wish to be bold, graceful and strong like her. Today, she may not be much active in the media and within people but she still stays in heart of many whom she inspired to live life in a different way establishing a new image of womanhood in the society. Stay tuned with us for latest buzzing stories and do extend your wishes to the drop dead gorgeous Miss Universe Sushmita Sen. Thank you soooooo much for all the #birthday wishes!! !😘😘😍❤️️💃🏻🎉 while #SushmitaSen turns #41yrsold today… #Titan (my pet name) remains a baby!! !😍🎉💃🏻😄 seen here on my Maa's lap surrounded by people l love!!! What a happpyyyyy start to my birthday!! !💃🏻😍👌❤️️🎵😁 #joiedevivre #birthdaybegins #19thnovember #Dubai #friends #fun #gratitude ❤️️my darling Tushna n Sreejaya😘😍 my babies Renée n Alisah!! !❤️️💃🏻❤️ I love u guys!!! !